SAN FRANCISCO, CA (30 JULY 2018) The Federation of Gay Games (FGG) is pleased to announce Paul Oostenbrug and Gert McMullin as the recipients of the 2018 Tom Waddell Award. Named in the memory of the founder of the Gay Games, the Tom Waddell Award is the highest honor bestowed by the FGG. The Dr. Tom Waddell Trophy was a gift from the LGBT community of Vancouver, and was first awarded there at Gay Games III in 1990. Since then, it has been presented every four years in recognition of the outstanding contributions of those individuals who identify as either men or women to the international Gay Games movement and the FGG’s mission of equality in and through sport and culture. Aside from being one of the earliest volunteers for the NAMES Project, McMullin is the longest serving staff member of the organization.She assisted the 1990 Rainbow Run for the End of AIDS team in constructing a 12 foot by 12 foot quilt that accompanied the Run from San Francisco to Vancouver for Gay Games III. She has also created four signature quilts for the Rainbow Roll for the End of AIDS from San Francisco to New York for Gay Games IV in 1994. She has since made every Signature Quilt for all of the subsequent International Rainbow Memorial Runs from San Francisco to every one of the Gay Games since 1998, including the one for this year’s Rainbow Run to Paris for Gay Games 10. In addition, she created the signature quilt for the Federation of Gay Games upon which memorials were left during their Memorial Moments at Annual General Assembly for more than 15 years. Many of her quilts will be on display in Patchworks: International Names Exhibition in Paris throughout Gay Games 10 in Paris. Paul has been a selfless long-term passionate volunteer of the FGG with special mention on his work to increase membership and most dear to his heart, outreach via the scholarship program. Oostenbrug began by leading Team Chicago Athletics for four plus years and was instrumental in bringing participants to Gay Games Chicago in 2006. He next led the FGG Board’s membership efforts for seven years as Vice President, Membership. During this time he oversaw the FGG’s General assembly increasing significantly in size and introduced a welcoming approach to new applicants for the Assembly. Since 2006, Paul has continued to work tirelessly as chair of the FGG Scholarship Committee, directly with host cities to successfully bring participants from around the world to the Gay Games. The FGG also would like to thank for their extraordinary contributions the other finalists for the Tom Waddell Award: Roger Brigham (USA), Teresa Galetti (USA). Peter Moews (Bulgaria), and Kate Rowe (Australia). The presentation of the Tom Waddell Award to Gert McMullin and Paul Oostenbrug will be a highlight of the August 4 Reception d’Honneur at the Gay Games 10 Opening Ceremony in Stade Jean Bouin in Paris. Since 1982, the FGG mission promotes equality and is the largest sport and culture event in the world open to all. Its legacy changes social, and political attitudes towards LGBT+ people through the core principles of “Participation, Inclusion and Personal Best™”. 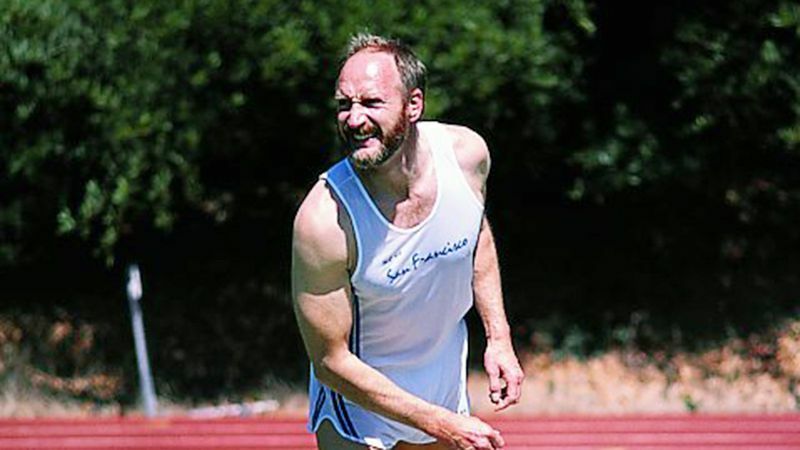 The Gay Games was conceived by Dr. Tom Waddell, an Olympic decathlete, and was first held in San Francisco in 1982. Subsequent Gay Games are San Francisco (1986), Vancouver (1990), New York (1994), Amsterdam (1998), Sydney (2002), Chicago (2006), Cologne (2010), Cleveland+Akron (2014), Paris (2018) and Hong Kong (2022).